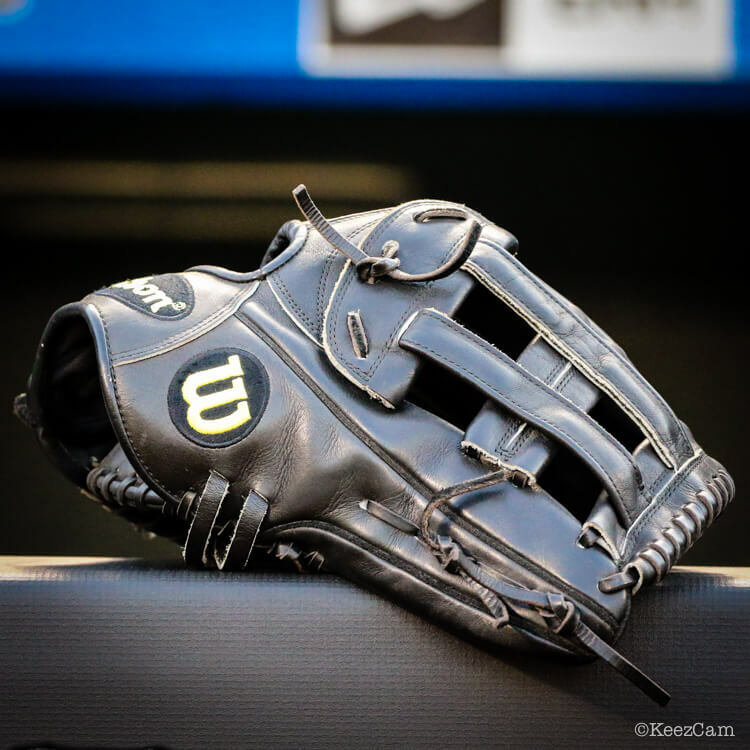 Lorenzo Cain used to have the most boring glove in baseball when it had brown welting. He got rid of the brown welting (too flashy? ), and now its just an old black A2000. While you can be sure that you won’t find a more boring custom glove in baseball, you can also be sure that Lorenzo Cain doesn’t give a damn about the look. He’s out there to catch every fly ball in his zip code, not to win beauty contests. Shop Wilson outfield gloves at the link. Categories: Gear, Outfield, Glove, Milwaukee Brewers, Lorenzo Cain.